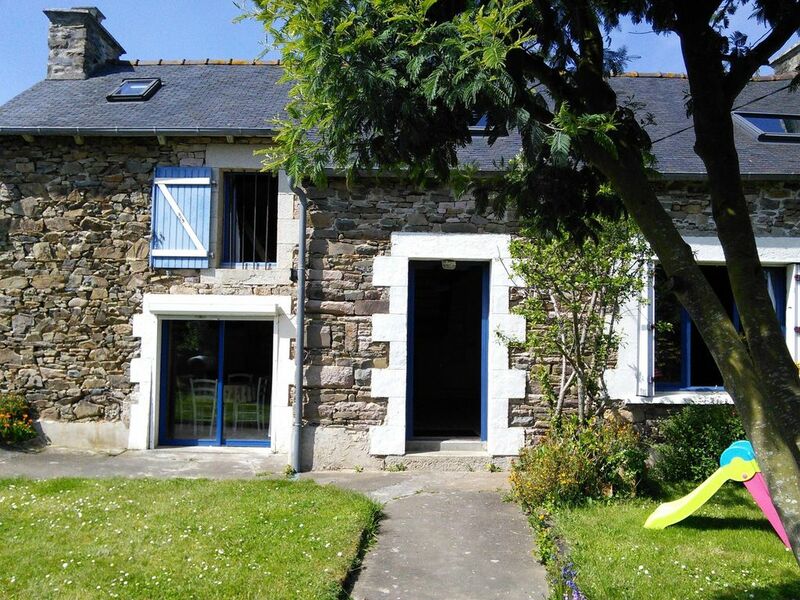 Situated in a very quiet hamlet on the cliffs of Plouezec, near Paimpol and near the archipelago of Bréhat, completely renewed long house, any comfort, with small sea view, in 10 mns on foot of a small creek, near hiking trails and on the famous circuit of cliffs. - 1 open bedroom, on the first floor, at the top of the staircase, with 1 bed 2 places(squares). The diverse documentation on the region waits for you, as well as girl's guides and big rides to be made in the region. "A very comfortable house. Beautiful place to stay." "Beautiful house, surroundings too. A place to visit." (Text automatically translated) During your stay at Questel, provide absolutely visiting the island Bréhat and pink granite coast, as well as the abbey of Beauport Paimpol Harbour gwin Zegal Plouha. You will find all the information to the Office of Tourism Plouezec.